There are three venues where you can buy food at school. Each venue offers different things (see below). Products sold in each venue are available at both Break 1 and Break 2. 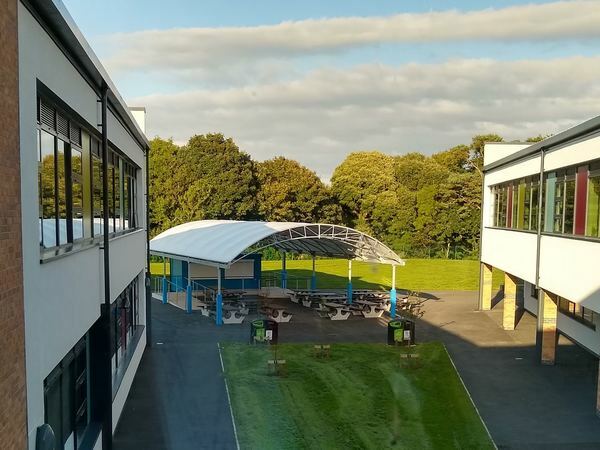 You are not allowed to eat in the corridors or a classroom, you can only eat inside the Refectory or under the canopy by the Outdoor Café. 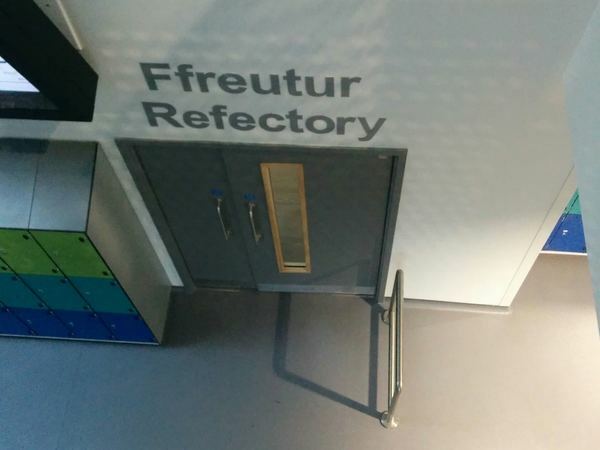 The Refectory is situated a bit further down from the main hall. It has three doors, and if you are buying food here you must enter through door 3 (past the stairs). There will be two aisles to queue along the far wall, and you can check which queue you need to join by looking at the notice board to see what you want to buy. 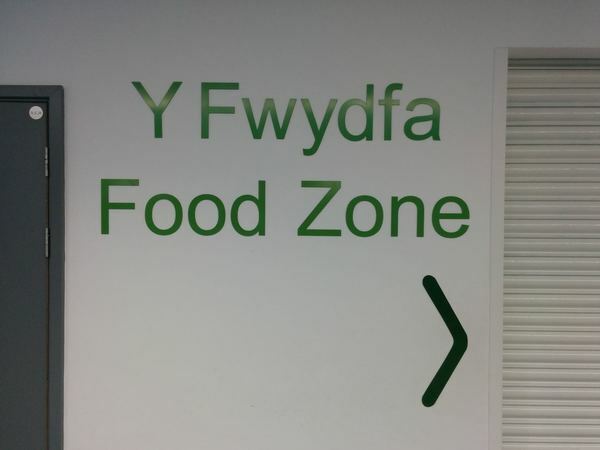 The Food Zone shop is situated directly opposite the exit of the Refectory between Marloes block and Angle block, and is a small servery. The queue will be to the left of the shop leaving the doors clear to the outside. The Outdoor Café is situated outside the exit by the refectory and shop. There are two serving hatches, and both hatches serve exactly the same. Therefore, you can queue either side following the railings. So that we don’t block the walkways, if you are queuing for the left hatch you stay as far left as possible. If you are queuing for the right hatch you stay as far right as possible.